FARRAGUT TOUR: State Sen. Steve Landek [11th District] and State Representative-Elect Silvana Tabares [21st District] were given a tour of Farragut Career Academy, 2345 S. Christiana Ave. on Wednesday, Nov. 14, 2012 by Principal Tonya Hammaker. BOTH SEN. Landek and State Rep. Tabares were impressed with the curriculum, student body, JROTC program, teachers and the overall cleanliness of the facilities. Maj. Peter Ramirez escorted the visitors to the Gen. George S. Patton Jr. Academy ROTC section of the campus. Two ROTC officers, LTC Humberto Castellanos [senior] and Cadet Major Hildelisa Vera [senior] lead Landek and Tabares to the ROTC classrooms, and showed them the school murals, photos, flags and trophy case. 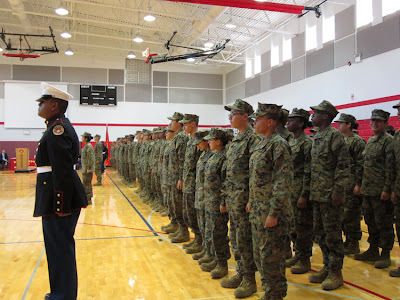 FARRAGUT’S NEW JROTC Director, Major Peter Ramirez, had the ROTC cadets stand in attention in the stairways and hall while Landek and Tabares were in the Patton ROTC area of the school. It was an outstanding presentation in honor of the two state officials by student cadets. PRINCIPAL HAMMAKER guided her visitors to the college room, staff physical fitness room, Spanish classroom, Care room, Learning Center and Law Center, Band room, automotive shop and the North gym. “We have many students who participate in academic clubs and sport activities,” said Hammaker. HAMMAKER INFORMED the legislators how Farragut Career Academy has earned a Level II and is in good standing; no longer on probation. She reported Farragut is staffed with 92 teachers for a student body of 1,300 [279 students are JROTC cadets] and school attendance is now at 87%. THE LEGISLATORS THANKED Principal Hammaker and Major Ramirez for an excellent tour of Farragut. Hammaker thanked the legislators for visiting the school and have invited them to return. QUINEANERA PRINCESS: On Friday, Nov. 23, 2012, parents David and Norma Calderon celebrated their daughter, Michelle Calderon, 15th birthday with a “Quinceanera”, a Mexican fiesta tradition. Family, friends and guests were invited to start the celebration by attending Mass at St. Pancratius Church, 4025 S. Sacramento Ave., Chicago. MICHELLE, dressed in a beautiful Aqua colored grown, was escorted to the front of the altar by her Chambelanes of Honor Rafael Ramirez and Chambelanes [escorts]Jose Serna, Martin Watson, Pedro Blanco, Joseph Ruiz, Josem Gonzalez and Luis Melendez. Mariachi musicians played during the procession and Mass. A RECEPTION of 400 guests celebrated the evening with food, refreshments, Mariachi music and danced to Banda “Karibe” music. 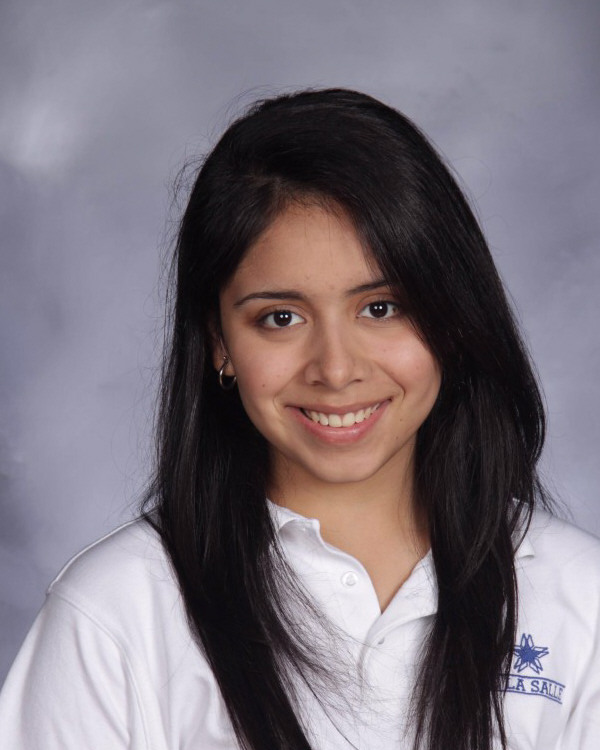 MICHELLE, graduate of Brighton Park Elementary, a freshman at Kelly High School. She has been an honor roll students since Pre-K and is recipient of the Citizenship Award; an award given for helping other students. Michelle’s mother, Norma, said: “Michelle loves to sing; and is in the choir. She also enjoys playing soccer and dancing”. Michelle will be travelling to Mexico in December with her family. A TEN COUNT: Retired Hector “Macho” Camacho, 50, a Puerto Rican boxer tragically died of a heart attack in San Juan, Puerto Rico on Nov. 21, 2012. He received a serious gunshot wound to his face causing Camacho to be brain dead. “It would be a miracle recovery medically we can do nothing,” said Rafael Rodriguez Mercado, president of the Medical Sciences Campus. FLASHY CAMACHO was a skillful and colorful showman of a boxer. He would enter the ring dressed as a gladiator, an Indian, or cowboy. He won 88 fights, losing only six. 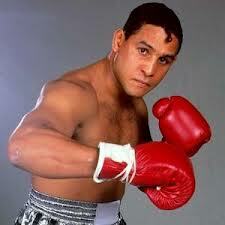 The fans loved to see Camacho fight because he was a slugger and his punches were fast. “His fights were nothing short of violent performance act”, it was reported. HE FOUGHT Edwin Rosario, Julio Cesar Chavez, Ray Mancini, Jose Luis Ramirez, Vinny Pazienza, Oscar DeLa Hoya, Sugar Ray Leonard lost to Greg Haugen. For refusing to touch gloves at the start of the final round, Camacho lost a point fighting Haugen. IT IS a tradition in the sport of boxing when a boxer dies he is given a “Ten Count” by hitting the ring bell slowly 10 times signifying that he is out. This is done while family, boxing officials and fans stand silently in memory of the boxer. Hector was famous for saying, “It’s Macho Time.” Yes, it was. May he rest in peace. A CELEBRATION: Blanca M. Vargas-Magana will be honored Tuesday, Dec. 4, 2012 for her 35 years of dedicated service in Illinois State Government. Everyone is cordially invited to join Blanca at Lobo de Mar Restaurant, 5503 W. Cermak Road in Cicero, IL from 6:00 p.m. to 8:00 p.m. In lieu of a gift, guests are asked to donate $50.00 to the LULAC National Scholarship fund by making their check payable to: LULAC #5004, P.O. Box 508472, Cicero, IL 60804. BLANCA is well-known in the Mexican and Latino community in Illinois for her activism and advocacy for Latino empowerment. She joined the League of United Latin American Citizens [LULAC] in 1972 and has served in many elected and appointed positions. LULAC is the largest and oldest Hispanic organization in the United States; serving all Hispanic nationality groups. SINCE 1993, Blanca has served as LULAC National Vice President for the Midwest, National Chaplain, Illinois State Director,President of the Local LULAC Council of Cicero. Currently, since 2009, she serves as a member of the Board of Directors for National LULAC Educational Centers and in 2012 Illinois Deputy State Director for Women. SINCE 1973, to the present, Blanca built her career professionally in the State of Illinois Government by serving in Spanish Speaking Affairs; and since 1981, she was the Community Relations Liaison for the Department of Human Rights. In this position, Blanca developed numerous community outreach programs and participated in many events to increase awareness of the services and benefits provided by the State to protect human rights. BLANCA has a long history of community involvement too numerous to mention. To name a few she conducted U.S. Citizenship workshops, Voter’s Educational Registration Drives, Senior Citizens Rights, Veterans and persons with Disabilities workshops. 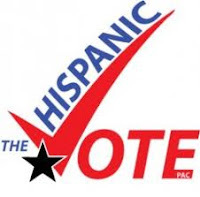 In 2003, Blanca co-chaired the LULAC of Illinois Education Summit on Hispanic high school dropout and awarded scholarships to high school and college students. 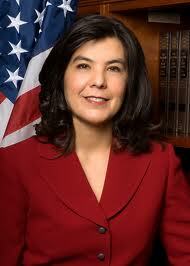 ON ADVISORY COUNCIL: Blanca is a member of the Cook County State’s Attorney Anita Alvarez Hispanic Advisory Council, MALDEF of Chicago, Cook County Complete Count Committee for the U.S. Census 2010. 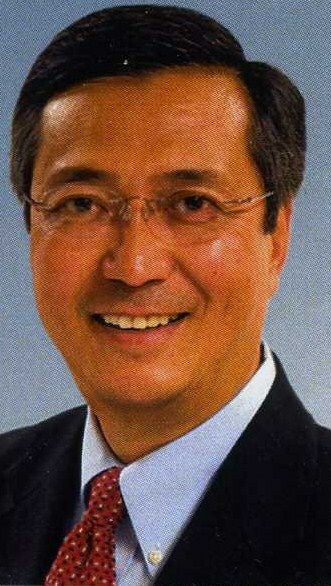 Politically, Blanca was elected delegate for Jimmy Carter in 1980 and for John Kerry 2004 National Democratic Convention representing the 5th Congressional District. SHE CHAIRED the 2007 LULAC National Convention in Chicago Navy Pier, Co-Chaired 2011 National Women’s Convention and helped coordinated the National Commission’s Domestic Violence conference. 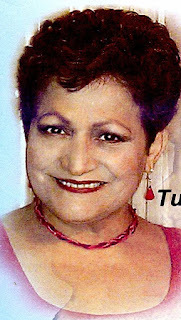 Blanca was honored with LULAC National Life Time Membership; LULAC National Membership Expansion; LULAC National Youth Program and National LULAC Women’s Commission’s Women Hall of Fame; National LULAC for the Elderly in Chicago and was awarded the CARESS in Public Service; Mexican Community Service and Life Achievement by MALDEF and the OTHLI Award by the Mexican Government on Foreign Affairs from President Vicente Fox. BLANCA has two daughters Bianca and Sarah and a brother named Martin. She is a 30 year resident of the Town of Cicero. MEMBERS ON BLANCA’S celebration committee are: Yanet Bahena, Alfonso Barrera, Rose Mary Bombela, Julie Contreras, Nelida Smyser DeLeon, Hilda Frontany, Omayra Giachello, Antonia D. Gamez, Cynthia Guerrero, Esperanza Gonzalez, Guillermo Hincapie, Angelina Huerta, Elda Leal, Jose L. Lopez, Bianca Magana, Sarah Magana, Adrian Mendieta, Estelle Michopoulos, Zeke Montes, Pedro Pineda, Maria Ponton, Fernando Pavon, Hilda M. Ramos, Jesus J. Reyes, Maggie & Joe Rivera, Lupita Rodriguez & Eduardo Rodriguez, Mike Salazar, Jose A. Valdes, Micaela Vargas, Roberto & Hilda Vargas, Micaela Vidana, Evelio Mora and Martha Fragozo. 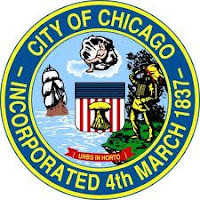 CEDA SERVICE: Julieta Bolivar, bilingual intake volunteer for Community and Economic Development Association of Cook County, Incorporated [CEDA], will be accepting applications from low-income families for financial assistance for gas and energy bills. Julieta will be at the Little Village Community Council, 3610 W. 26th Street this Saturday, Nov. 24, 2012 from 10 a.m. until 3 p.m. If paid in cash bring in a letter from employer stating payroll status on employers letterhead which includes Employer name, address and telephone number. NO APPOINTMENT NECESSARY. HUD MEETING: Baltazar Enriquez, President of the “Helping Others Progress Economically” [HOPE] organization is sponsoring an open public meeting starting at 6:30 p.m. to 8:00 p.m. Thursday, Nov. 29, 2012 at HOPE office, 3610 W. 26th St. A HUD Representative has been invited to answer questions relative to HUD guidelines. THE AGENDA: The purpose of the meeting is to help homeowners save their home from foreclosures and/or their home from a bank takeover. “We are asking homeowners to attend the meeting to learn how they may protect themselves from the loss of their home to a bank,” said Enriquez. ENRIQUEZ is a certified HUD Housing counselor and HOPE is a non-profit organization which has been in existence five years in the Little Village area. “Based on our experience, we have learned some banks have treated some of their mortgagees unfairly,” said Enriquez. 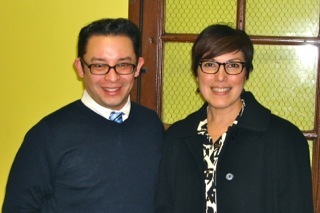 26th WARD NEWSLETTER: Alderman Roberto Maldonado announced he has been lobbying strongly to relocate Marine Math & Science Academy, 145 S. Campbell Ave. 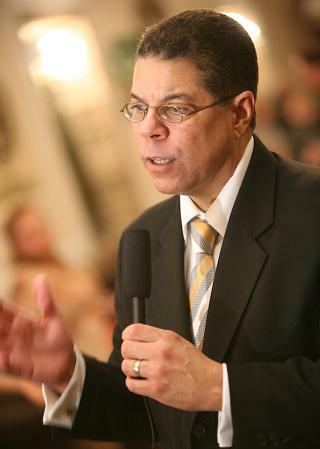 The goal is to move the academy into the building which currently houses Ames Middle School, 1920 N. Hamlin Ave. Maldonado said, “As the Alderman and a parent, I feel it is my duty to provide our children with a viable option to get a quality education in the 26th Ward”. MARINE MATH & Science is a level 2 school which has seen significant growth in graduation rates. “A high school diploma is no longer sufficient to reach the American Dream. Our parents deserve a high school in our ward which will send the majority of their graduates to college”, said Ald. Maldonado. MARINE MATH & Science, with 92% of their graduates accepted into four year colleges, has delivered both academic and programmatic support to families who need to make college a reality. In 2012, Marine's graduates received approximately $4 million dollars in scholarship awards. As part of their college counseling program, seniors are required to have 3 admissions letters in their file. MARINE MATH & Science students are over 60% Latino and many of these students come from the 26th Ward. “Relocating or expanding this school will not only benefit the current students but give the 26th Ward its first high school that provides a safe learning environment,” said Ald. Maldonado. Marine Math & Science students stand in attention for an early morning drill. O.H.M.S. is the acronym for “Organized Hispanics Making Strides.” In electrical terms, an OHM is a unit of electrical resistance equal to one volt. The 20 active club members are Latino Union electricians members of the International Brotherhood of Electrical Workers Union, Local 134. President of the OHMS Club, Marco Calderon, has been an IBEW Local 134 member for over twelve years; and the president of OHMS for the past six. “Our mission is to promote more Latinos for apprenticeship positions and ultimately to become journeymen members of Local 134”, said Marco. ON SATURDAY, Nov. 3, 2012, the OHMS club sponsored a Candlelight Bowl fund-raiser in the Town of Cicero. 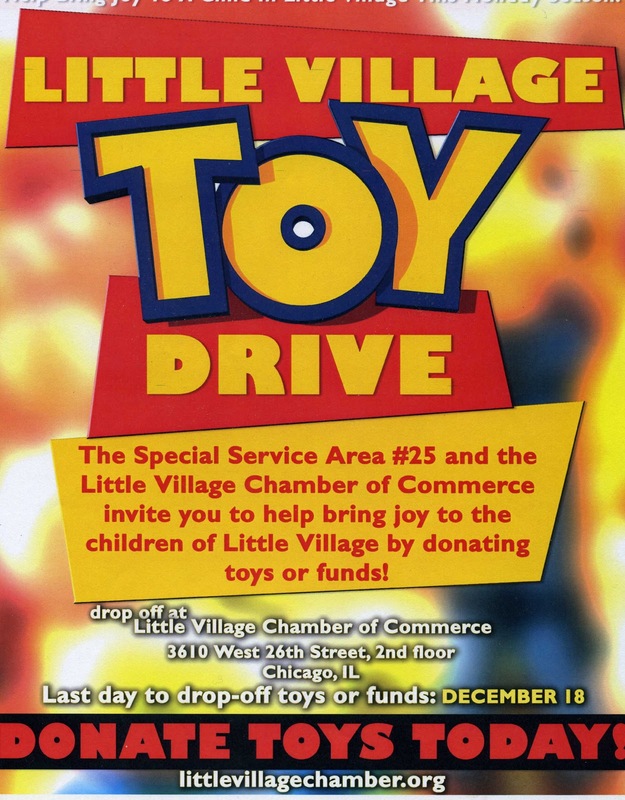 They also hold a an annual Toy Drive, plus the OHMS members volunteer in the “Rebuilding Together” program; a program designed to help low income families with electrical repairs. IN THE POLITICAL arena the OHMS club members support candidates seeking public office who support the aims and goals of IBEW Local 134. “We try to promote the involvement of our members in IBEW Union affairs,” said Marco. STATE REPRESENTATIVE Silvana Tabares [D-21st District] was a special guest at the Candlelight Bowl. “A member of my family is an electrician and several members are Teamsters. I am pro-labor,” said Silvana. Tabares thanked the OHMS members for their support. THE OHMS Club meets at 7 p.m. every second Tuesday of the month at the ShyWays S.A.C., 2272 S. Blue Island Ave. For more info call Marco at 312/735-0406. PURPLE HEART: The first purple heart medal was called the Washington’s Badge of Military Merit and was established in 1782. 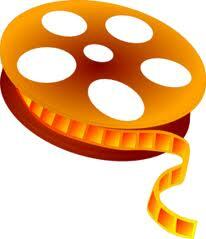 It was a purple-colored, heart-shaped cloth badge. It was awarded to soldiers in the Continental Army for both heroism and meritorious service. Only three have been known to be presented. AFTER THE American Revolution, the Continental Army was disbanded and the “purple heart” was forgotten for 150 years. Gen. Douglas MacArthur in 1932 revived the purple heart award as a full-sized medal. MacArthur looked at Washington’s purple heart badge as inspiration. The new purple heart had an entirely different purpose. THE PURPLE HEART medal is awarded to U.S. military soldiers wounded in combat by the enemy. The medal itself is heart-shaped, with the profile of President George Washington in white on a purple background. Recipients are eligible to join The Military Order of the Purple Heart, a veteran organization. 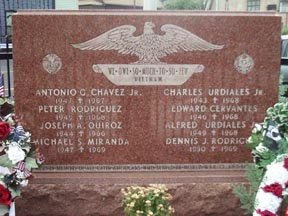 THE VIETNAM WAR Memorial monument, 3201 E. 91st St., South Chicago bears the names of eight Purple Heart recipients: Antonio C. Chavez Jr., Peter Rodriquez, Joseph A. Quiroz, Michael S. Miranda, Dennis J. Rodriguez, Alfred Urdiales, Charles Urdiales Jr. and Edward Cervantes. OTHER MEXICAN-AMERICAN recipients of the Purple Heart are as follows: Jose M. Lopez, Ferdinand Marcos, Kristian Menchaca, Ron Benavidez [Medal of Honor], Angel Mendez, William Miranda, Lupe Martinez, Robert Cardenas, Benito Garcia, Pedro Cano, Joe R. Martinez, Felix Z. Longoria, Jr., Baldomero Lopez, Agustin Ramos Calero, Joe Sanchez, Carlos Lozada, Manuel Perez Jr. [Medal of Honor], Emily Perez, Victor M. Franco Jr., Fernando Luis Garcia, Marcario Garcia, Victor Franco Sr., Tommy Gomez, David M. Gonzalez. There have been 1.7 million Purple Hearts awarded. DIABETES DAY: Anna Garcia, Dietitian and Certified Diabetes Educator, from St. Anthony Hospital Diabetes Center, administered diabetes screening tests to twelve people last Saturday, Nov. 10, 2012 at the Little Village Community Council. The attendance was sparse due to the heavy rain storm Saturday. ANNA GARCIA has worked at St. Anthony for the past four years. She was born in Chicago and lives in the Garfield Ridge neighborhood. She graduated from Whitney Young High School, attended the University of Champaign-Urbana earning a degree in psychology and at the University of Chicago [U.I.C.] a degree in Human nutrition. TO PREVENT DIABETES Anna recommends making healthy food choices and control meal portions. “Eating healthy foods like whole grains, lean meats, lots of vegetables and fruits can help prevent becoming a diabetic,” said Anna. GARCIA is a registered dietitian [RD], license dietitian [LD]and a certified dietitian educator [CDE]. Co-worker, Jose Rodriguez, Community Relations Assistant from Saint Anthony Hospital also helped with the diabetes screening test assisting Anna Garcia. Jose can be contracted at 773/484-4397. Ayuda de luz gas para familias le bajos ingresos. CEDA SERVICE: Julieta Bolivar, bilingual representative from the Community and Economic Development Association of Cook County, Incorporated [CEDA] will be accepting applications from low-income families for financial assistance for gas and energy bills on Saturday, Nov. 24, 2012 from 10 a.m. until 3 p.m. at the Little Village Community Council, 3610 W. 26th Street. A VICTORY: The re-election of President Barack Obama is a victory for all of America. He will move America forward. The middle class, seniors, veterans, unions, small businesses, military, schools, students, unemployed, underprivileged, immigrants, uninsured and the forgotten do not have to fear for Obama’s agenda has been clinched for the next four years. STRENGTHENING THE economy continues to be one of Obama’s top priorities. A stronger economy means more jobs for Americans. But these jobs must be jobs located here in America, not outsourced overseas. PRESIDENT OBAMA understands he has a tough road ahead of him, with a Republican controlled Congress, however the political gridlock must stop. 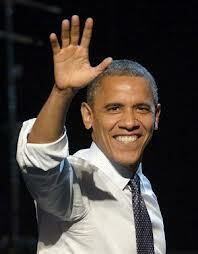 UNDER PRESIDENT Obama’s leadership progress can be accomplished; he has proven himself time and again since 2008. The political bickering must stop. Balance and respect must be restored in American politics; this is a national issue imperative for America to survive globally. America, as a united nation, must demonstrate to the world how a government, with different political ideologies can govern democratically for the betterment of the country. The American people depend on our political leaders to meet in the middle and make a country stronger for every American, not a selected few. Let’s hope our leaders can finally work together. AMERICAN CAN only become a stronger nation if the politicians can work together to move America forward. 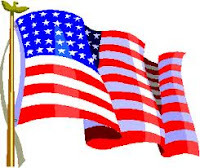 Congratulations to all the winners in the General Election of Tuesday, Nov. 6, 2012. HALLOWEEN: Every year children, along with their parents, in the Little Village neighborhood come out in Halloween costumes on Oct. 31st to roam down 26th Street from Kedzie Ave. west to Kostner Ave. Visiting stores and shouting “Trick or Treat” the children all look cute in the costumes. Most of the stores, restaurants, and businesses open during that time have treats for the children. MORE THAN 800 children visited the Little Village Community Council office for their treats. Candy distribution into the Halloween bags was done by volunteers/students from Farragut Career Academy and Cristo Rey High School. LVCC received candy and/or a donation to purchase Halloween treats from: Charles Hernandez, Cicero Democratic Committeeman; Mario Martinez [Violetas], Walgreens, TCF Bank, State Senator Steve Landek [11th District], State Representative Silvana Tabares [21st District], Victor M. Franco Jr. [Military Order of the Purple Hearts]. DIABETES: The month of November is National Diabetes Awareness Month. If you would like to be screened for diabetes, St. Anthony Hospital personnel will be providing free diabetes screening. The event is this Saturday, Nov. 10, 2012 at the Little Village Community Council, 3610 W. 26th St. from 10 a.m. to 3 p.m. No appointment is necessary. IF YOU HAVE any one of these symptoms, call your doctor or come and get your FREE diabetic screening this Saturday at the LVCC. Diabetic screening is also available for children. PREVENTION begins with annual physical exams, routine eye exams and a healthy lifestyle. THE “NOCHE DE LOS MUERTOS” event held on Friday, Nov. 2, 2012 at the Manuel Perez Jr. Memorial Plaza in Little Village was a success. The event was attended by 90 parents, students and children some wearing mask and carrying paper flowers for the dead [“flores de mueto en papel]. A moment of silence was observed by all. SPEAKERS were State Rep. Lisa Hernandez, Post Commander Joe Ramirez, August Sallas, Maria Alvarez and Mike Rodriguez. All the speakers spoke against violence in the community. A public altar was dressed with small crosses, articles and photos of the deceased. FOOD AND REFRESHMENTS were served to all the attendees. The event was sponsored by the Chicago Youth Network and coordinated by Mara Castillo and Jessica Suarez. “ORGANIZED HISPANICS MAKING STRIDES” CLUB: OHMS, is a Latino Union member’s club within the Electrical Workers Union, Local 134. They sponsored a Candlelight Bowl fundraiser at the Grand Palace Bowl, 5330 W. 256th St., Cicero Saturday, Nov. 3, 2012. More than 100 guests and members attended the Candlelight event. A raffle, Mexican food, and refreshments made a fun-filled evening for everyone. PRESIDENT OF the OHMS Club is Marco Calderon who has been an IBEW Local 134 member for over twelve years; and president of OHMS for the past six. “Our mission is to promote more Latinos for apprenticeship positions and ultimately to become members of Local 134”, said Marco. IN ADDITION to a Candlelight Bowl, the OHMS club sponsors an annual Toy Drive and members are involved in the “Rebuilding Together” program which helps low income families who need electrical repairs. Politically, the OHMS club members help public candidates by following the lead of the IBEW Local 134. “We try to promote the involvement of Latinos in Local 134,” said Marco. SPECIAL GUEST at the Candlelight Bowl was State Representative Silvana Tabares [D-21st District]. “One of my family members is an electrician and I have several who are members of the Teamsters Union. I am pro-labor,” said Silvana. THE OHMS Club meets at 7 p.m. every second Tuesday of the month at the ShyWays S.A.C., 2272 S. Blue Island Ave. For more info on OHMS, call Marco at 312/735-0406.